I love Italian food so I make from time to time spaghetti, lasagna or pizza. 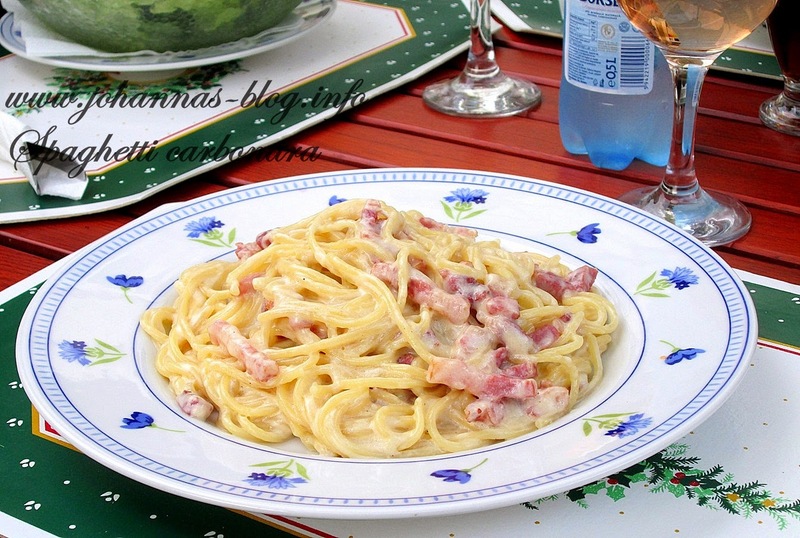 Today was the time for spaghetti alla carbonara. I used a bunch of thin spaghetti and I boiled it in water with a pinch of salt for 8-10 minutes. They should be boiled only al dente (the core of the spaghetti stick remains hard) but I must confess I don't like pasta al dente, I like it well done. 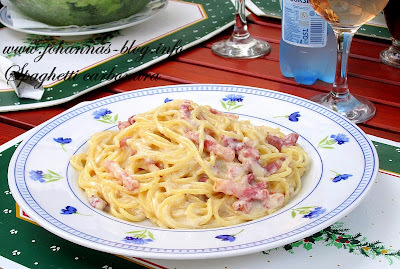 Meanwhile I made the carbonara sauce as it follows: a few slices of bacon slightly fried in olive oil, mixed with 2 whole eggs, grated Parmesan cheese (parmiggiano), salt and black pepper. Optionally you can add some garlic cut into very small pieces. The sauce is combined then with the hot spaghetti immediately after they are done and the water is removed. 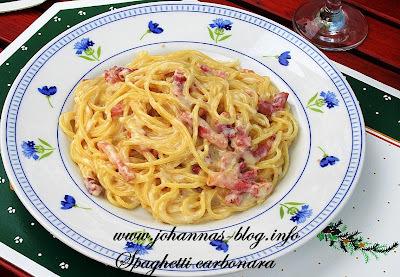 I love pasta dishes n this one is a must try!!!.....Thanks! Hey I tried this recipe yesterday....it was great!...thanx Johanna!